mercury retrograde | QuantumPhoenix.net – Esoterica, Paganism & Ritual Magic. Mercury began its retrograde motion at the end of August’16, at 29’05” Virgo (Virgo is ruled by Mercury..so extra powerful). We then went into an Eclipse portal (set of Eclipses separated by 14 days.. 1st Sept to 16th Sept). Eclipses are cosmic accelerators.. so whatever issues that Mercury Retrograde was bringing to the surface will have been additionally intense.. as the Heavens interrupt our flows and progress..to make us stop and deal with those issues.. !! And now.. in a few days, Mercury retrograde motion comes to a halt.. (stationary.. at 14’50” Virgo, on 22nd sept.. just hours before the Autumn Equinox ..which is a time of balance of dark & light). And then Mercury begins to go direct again.. through the sign of Virgo. So you’ll start to see progress again.. However, it will only reach its previous `spot’ in virgo around 6th October.. So till , you’ll still be `cleaning up’ personal issues/ matters..
I’d say ..make use of the energies now building up towards Autumn Equinox… along with mercury-direct motion. The synchronicity of these two stellar events are uncanny.. and conspire to help us make true inner shifts…as painful as recent few weeks will have been.. It started retrograding on 6th January, at 1’Aquarius, slipped back into Capricorn and got to 14’Capricorn.. Tonight he goes direct..and will reach Aquarius again on 14th Feb..and back to where it was on 15th Feb. So the review & re-discovery time is now concluding…and renewing and re-directing begins for the next 20 days..
We are at that pause..the point between Yule and Imbolc..
Amazing how just in the course of even one day our moods can change.. forming, merging, dividing, re-merging, emerging, undulating.. What turbulence our hearts make.. while the mind watches it all.. We are now about a week into the Mercury-retrograde.. Things will unravel.. and would seem like chaos.. the more one tries to pin down reality, more it will slip away.. And it is exactly at these times, that you must hold dear your faith in the Stars..and Fates..
..and that all will be well! In a few weeks, the Goddess Bride shall arise from her wintery place of mysteries, and walk into our lives again.. her path illuminated by a hundred points of light. And she’ll bring with her the 3 gifts – the flames of inspiration, purification and that of healing..
..and the anguish of the artists, the pangs of the lovers and longings of the lost shall be fulfilled.. ! Snow Spiral & The coming of Bride – photo & art (c) Mani Navasothy 2010 / 2016. Astro-Alert: Mercury Retrograde starts today! Mercury begins its Retrograde motion in a day (4th Oct) in Scorpio, slips back into Libra, and keeps going back for few weeks (till 25th Oct)..
Its influences can already be seen.. Watch out for disruptions and interruptions, miscommunications, arguments and trickery… With the Scorpio flavour of power games highlighted, also look out for probes and spilling of secrets.. But from 25th Oct, we get an opportunity for balancing…It’s not all bad.. It may provide opportunities for lost paths to be explored again..
It’s that time again.. when Mercury undergoes (the optical illusion of) retrograde motion in the heavens!! 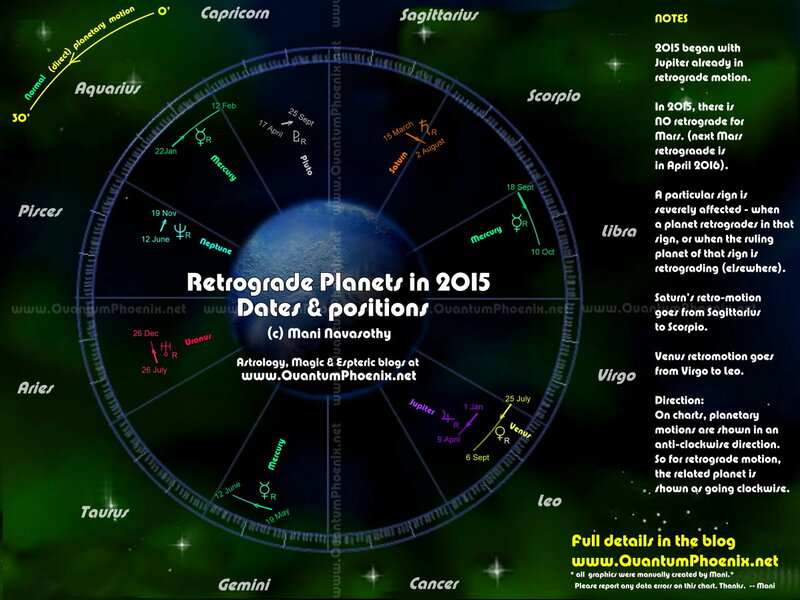 Me> Mercury now retrogrades til 28th feb. Pisces, Aquarius, Gemini & Virgo watch out! me> sorry ye friends.. I was getting into all sorts of scrapes.. disgruntlements..and such.. and then it hit me…and I remembered a mercury retro-was lurking about this time…and yes..it started thursday (yesterday evening!) I am gemini rising.. so it hits me too..
friend#5> This explains so much! friend #7> Not very happy about that as I am traveling on 23 Feb and this is something what should b e avoided at any cost. If I would have known when booking, I would have done a week later for sure. Hope I have a save journey and my snakes are save while I am not here. Me> alternative roads..as in roads and opportunities we missed the previous time..
Me> Nah..we can’t avoid travel.. Mercury retro is seen as affecting `local’ or short travels.. glitches on computers.. miscommunications.. arguments.. missing small prints on contracts & agreements.. trickery.. that sort.. Also governs relationships with siblings.. (as proved by the outburst I had with my sister last night out of the blue.. That’s what got me wondering `something is up’..
friend #7> Huhhhh, thank you Mani, I was really worried. 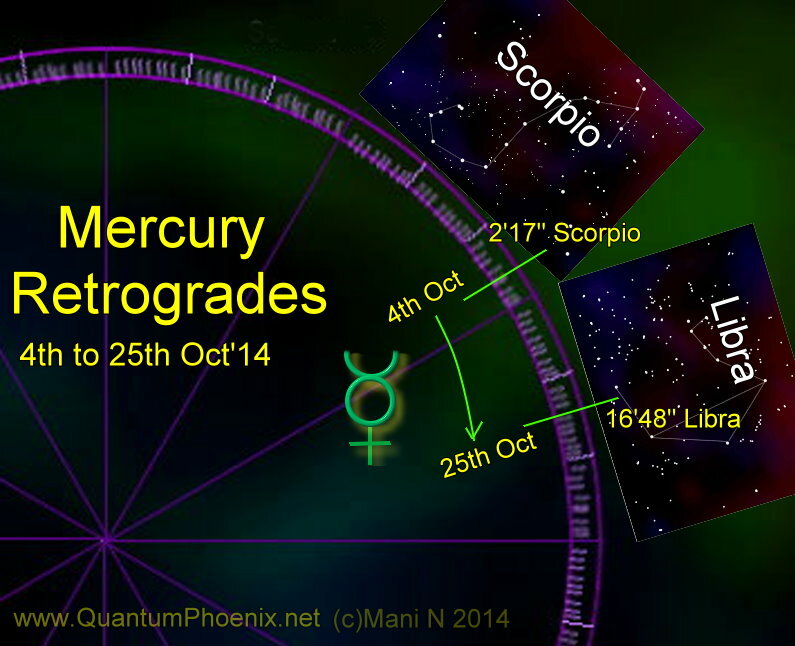 Make sure you subscribe to my blog..or check back for that in a few days..
Mercury Retrogrades NOW – in Scorpio! Time to shed that skin!! 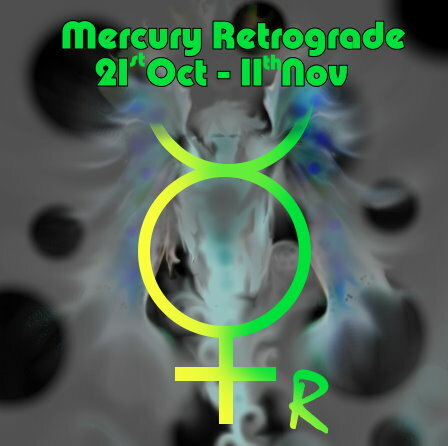 Well, good people.. it’s that time..when flight-footed Mercury begins to retrograde…! It’s in the sign of Scorpio, and goes retrograde for the next 3 weeks.. (21st October to 11th November 2013).. a time when many things seem to become problematic.. in relating to people, stress builds up, the mind is over active or full of worry.. matters go astray.. transport problems disrupt routine (we’ve already seen that today in Tubes in London)..
As this one is in the sign of Scorpio, you can expect many Scorpio related issues to surface.. matters of power and control..or rather manipulative matters. The sheer intensity you may have felt in the past few days is due to the beginning of this astrological process coinciding with a full moon/ eclipse also! This particular Mercury retrograde period is also holding the upcoming Uranus-square-Pluto.. which in itself is causing huge upheavals.. and changes..not all of them pleasant. It’s as if the snake is about to shed its skin.. First it needs to go hide in a safe place..then it goes blind..and the comes the painful process of peeling itself off the old skin. Except, none of us are getting the much needed refuge in a safe place. No. This time, the snake must do it out in the open.. and while someone is pulling the snake backwards by its tail.. ! The sooner it sheds, the quicker it can escape the dragging.. because all that’ll be left in the hands of the dragging hand is old skin.. Try not to get left out in vulnerable situations.. try not to get engaged in conflicts that can result it personal secrets being spilled or dragged out. Watch out for legal matters coming to bite you.. but also previously lost roads being found (then taking that road or not is a choice you must make..). Matters concerning death is a possibility.. so are wrangles with siblings or cousins (Mercury represents siblings also). Sexual activities, obsessions are also a problem.. ! As for secrets.. sometimes, revealing them may actually be rather cathartic and a release ..Freedom? ! 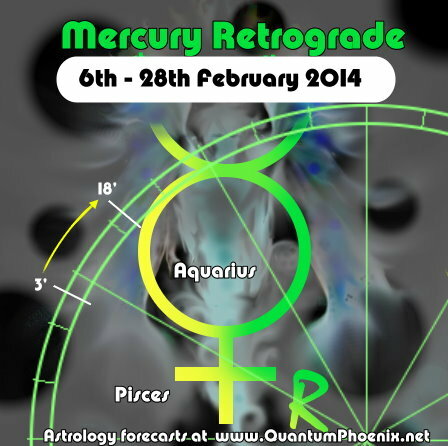 About 3 weeks ago, on 22nd February, Mercury began it’s retrograde motion in the zodiac sign of Pisces. It went from 19 degrees backwards to about 5 degrees in Pisces. Now Pisces is one of those signs that is thought to be dreamy, inspirational.. etherial and nebulous. In it’s rather negative side, it’s also about confusion, bit of chaos, urge to escape..and deceptions. Add this to the fact that Mercury ..when retrograding brings out issues like mis-communication, negative thinking, stressful mind states, problems with local organisations and travels.. you can see that this combination..and the resulting 3+ week period can be a very trying time on so many level for everyone..
Pisces, Gemini & Virgo people would have been more severely affected, and those with these signs as their ascendant (rising signs). For the rest of the people (signs), which ever house where Pisces falls within would have had the troubles.. Things may have started to unravel drastically or even begun to dissolve .. ! GOOD NEWS.. you can stop holding your breath, or gasping for fresh air. Mercury retrograde period (this one) is now over. Mercury goes direct today.. 17th March, at about 8.03pm (gmt). The last few weeks may have stirred up all sorts of troubles …and as Mercury now goes direct, not only do those hindrances start to fade away, on a personal level, you can take the initiative (mercury rules the mind), and get to resolving issues that have come up. Miscommunications, arguments, contractual problems, agreements that stalled, commercial ventures that took a nose-dive – can all be attended to now, and successful be sorted – mostly in a positive way! Although Mercury is now going forward, it has to catch up to the place where it got to before… So it will take Mercury till 6th April, to get to it’s previous position (19 degrees Pisces).. So until then, you have an opportunity to make every effort to resolve issues that have been coming up in the past 3 weeks. And then things can really take off..
So…breath – smile- and bravely tackle the issues with a positive frame of mind.. with imagination, compassion and your highest ideals (positive qualities of Neptune which rules Pisces)..and all will turn out very well indeed.